This was the second time the two sides had met in the space of 26 days, Frimley winning in the Esoteric Records cup tie at Meadowbank 2-1 (aet) back in October. Both sides came into this game on the back of away league defeats last Saturday, although Frimley had a morale boosting cup win over Molesey during midweek. Chris Harris returned to take the goalkeepers jersey for Frimley, along with Ben Dearlove and Jeffery Vasquez Rosero coming into the midfield, replacing Cyrus Vanterpool and Ed McKinlay. A minute’s silence was superbly observed by players, staff, officials and fans of both teams before the game, in memory of those British Soldiers who have served and given their lives in conflicts, past and present. When the game began both teams adjusted to the very wet conditions, which helped to provide a pulsating start, the first goal coming as early as the fifth minute. A ball towards the Frimley box was cleared by Tony Trinder, the clearance finding Teddy Ralph out on the left wing. Ralph ran at the defence, before unleashing a drive which flew past the despairing dive of Harris to make the score 1-0 to Dorking. Frimley then took control of the game and created numerous opportunities, the first coming just a couple of minutes after the goal, but Sam Hamers drive from the edge of the box was blocked by a Dorking player, a few appeals went up for a penalty, but the ref waved play on. Not long after though, the exact same thing happened, Leo Medrado this time shooting and Mohammed Amghar blocking with his arm, penalty to Frimley. Amghar was booked for the misdemeanour. Medrado stepped up to take, his well hit penalty went past the Drew Churchwell in the Dorking goal but the ball hit the post and came back out, no Frimley player could get onto a rebound and the Dorking defence cleared. After Callum Manning was booked for the visitors for blocking a quick free kick Jim Ward tried to take, Frimley had another chance from that free kick, Medrado’s header going wide from the lofted ball into the box. Frimley continued to dominate, on 26 minutes James Vass finding George Bowerman with a fine ball over the top, the striker managing to round the keeper but only finding the side netting with his shot at goal. Bowerman then had another effort saved by Churchwell, the resulting corner was headed towards goal by Ward, but his effort was cleared of the line by a Dorking defender. Dorking then had a rare foray into the Frimley defensive area, Max Iyamu getting in behind Mark Primett, Harris coming out on top, not once but three times before Primett got back to clear. 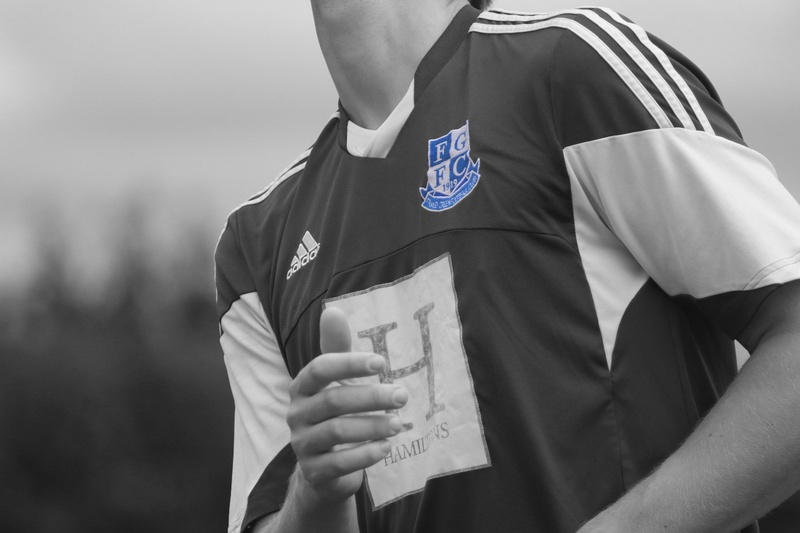 Frimley then had a goal disallowed after Zac Horkan was adjudged to be offside when heading in Bowerman’s cross. But Frimley finally got their reward on 41 minutes, when Medrado’s corner was delivered towards the near post, Ben Dyson diverted the ball past Churchwell into his own net when trying to clear for Dorking. 1-1 and Frimley were very much on top and almost had the lead a minute after the goal, Horkan’s header hitting the side netting. Just before half time, James Vass was booked after a tussle with Iyamu on halfway. The free kick was lofted towards the Frimley box, after a clearance, Dyson effort going wide of the target. Half time came, Frimley 1-1 Dorking. Straight from the restart, Frimley could have gone ahead, Medrado finding himself through on goal and in a good position to shoot, but turned back before laying of to Hamer to have a shot which went over. Another chance came and went for Frimley, when Medrado’s turn and volley went over. On 51 minutes, Dorking served up another sucker punch when Iyamu got through on goal, unlike in the first half, he managed to get around Harris in the Frimley goal this time, passing into an empty net beyond the slide of Primett, the ball bobbling over his foot. Dorking were ahead 2-1, but Frimley deserved a lot more from the game. Half time sub Clarence Ngunza Mbulu had an effort at the Frimley goal, but Harris pushed away for a corner, which came to nothing. Dan Bone came on for Vasquez Rosero, with Frimley pushing 3 up top in chase of an equaliser. After Ralph was booked for a challenge on Horkan where studs were showing, Bone hit a free kick at goal, which was deflected wide for a corner. The corner was cleared to the edge of the box, Dearlove was on hand to hit a stunning volley which sailed just wide of the post. Bowerman was next to go close again for Frimley, his lob over the keeper after a long ball forward ending up on top of the net. Frimley’s pressure was starting to get to the visitors with reckless challenges coming in and Amghar was the recipient of a second yellow card when he went in with a dangerous high challenge on Dearlove. Frimley were on top and against ten men now, still pressurising the Dorking back line and goal. Kristian Cumberbatch came on for Primett, Frimley reverting to a back three and now had 4 strikers on the pitch. Bone went close with an effort that was saved by the keeper. A free kick played into the box by Vass was headed towards goal by Bowerman, but his effort was cleared of the line, the second time Frimley were denied by last ditch defending in the game. Dorking could not get out of their own half, Frimley on top and mounting attack after attack, their reward coming on 87 minutes. Trinder played a ball forward towards the Dorking box, Bone winning the ball before turning and placing a shot perfectly inside the far post to make the game all square at 2 apiece. This was the least that Frimley deserved, but better was to come in the final minute. Just as he did in the first game of the season between the two sides, Cumberbatch found a winner for Frimley. The striker gained possession of the ball on the edge of the box, turned his marker before firing his shot into the corner of the net beyond the dive of Churchwell. The game ended not long after, Frimley 3-2 Dorking Wanderers u23s. Frimley stay in the top 6 of the table, preventing Dorking from climbing above them and are now back within touching distance of the top 3. It was another fine attacking display from the Green, following on from Tuesday night’s victory and performance against Molesey. They next travel to Fleet Town’s Calthorpe Park to face Bagshot for the third time this season, this time in the Aldershot Senior Cup. Harris (GK), Primett (Cumberbatch), Trinder, J Ward (C), Vass, Horkan, Hamer, Dearlove, Vasquez Rosero (Bone), Medrado, Bowerman. Man of the match was George Bowerman, after his assist in the game against Molesey on Tuesday, this was another impressive performance from the forward who was a nuisance for the Dorking defence and was the focal point for many of Frimley’s attacks in the game. His presence and running making room for other players to flourish and he was also unlucky not to get on the scoresheet himself.